At In-Shape we always promote working out with a buddy, and what’s even cooler than just one buddy? Working out in a group, of course. Our class studios feature classes like kickboxing, Zumba, group cycle and yoga—just to name a few. 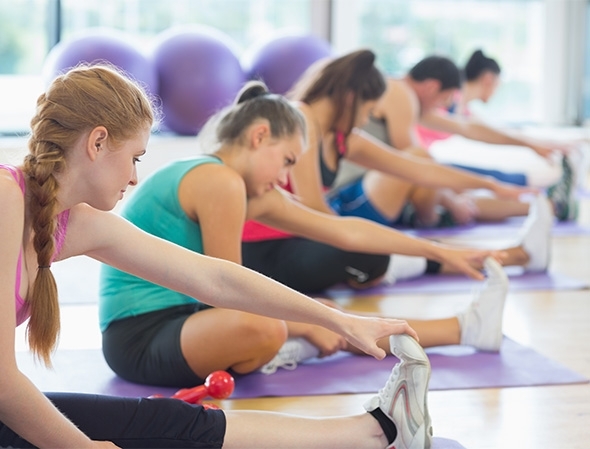 Stay motivated with group fitness classes led by inspirational, energetic instructors and offered at a variety of times to fit your busy schedule. Bike a bit in our Group Cycling Studio whether you’re taking a class or cycling on your own with a few friends. Relax your mind and stretch your body in our dedicated, peaceful Mind Body Studios. Work your core with one of our Pilates classes held in our Pilates studios or Group Fitness Studios.